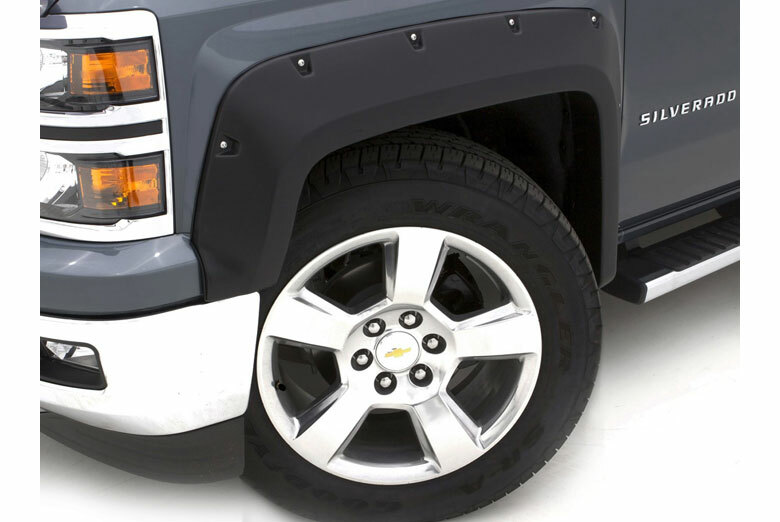 LUND Fender Flare Elite Series come in a variety of styles, from low profile to big and bold featuring the industry's only textured finish option. LUND's SX-Sport Style™, RX-Rivet Style™ and EX-ExtraWide Style™ are made with Tri-Flex™ ABS thermoplastic material to allow for maximum durability–providing a dense, hard and scratch-resistant surface, flexible enough to bend instead of shattering. Straight from the die, the flare has a smooth (standard) or textured finish that looks great as is, but can also be easily prepped and painted to match your truck or SUV. 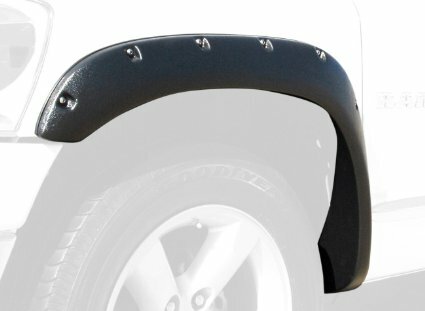 Our fender flares install in minutes and do not require any cutting or drilling, and use pre-existing factory holes to fasten securely. 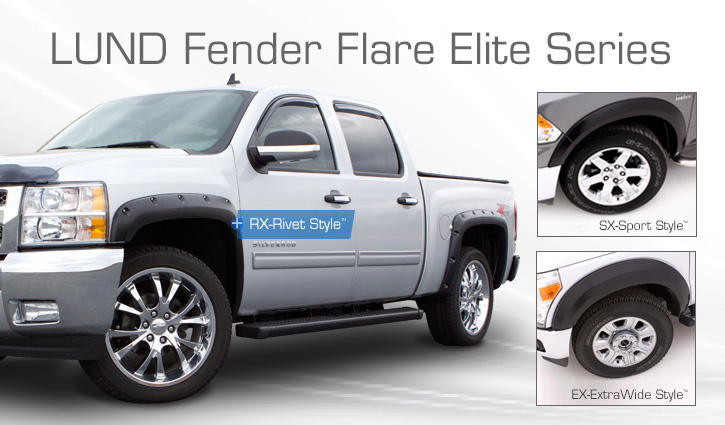 You can add these flares to your truck or SUV to upgrade from your standard OEM flares, replace a damaged or missing flare, or add flares to a truck that never had them before.